Natural earache remedies : Do you regularly endure earaches? You are not alone. In fact, it can be one of the most uncomfortable experiences. Most earaches are caused by ear infection and buildup of fluid in the middle of the ear. Other causes include wax buildup, common cold, blockage in the nasal passage, an increase in air pressure, physical damage in the interior of the ear, etc. 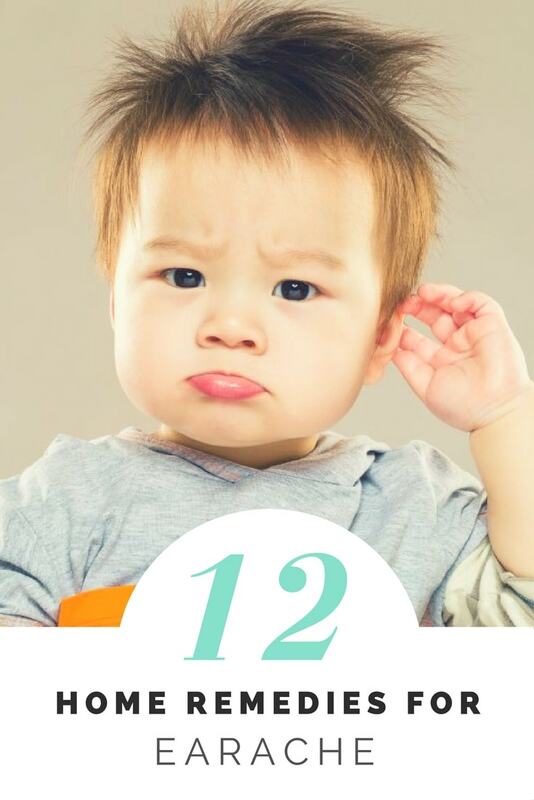 Although earaches are said to be more common in children, it can occur in adults as well. There are certainly many medications available these days to to treat common earaches. But this time, we are asking you to ditch them, because it high time that you went natural and safe! Several mild home remedies are all that you need to take charge of this condition. Here is a look at some of the best natural home remedies for earaches. Do you frequently get annoying, buzzing sound in your ears? In this case, olive oil is all you need to step out of the misery. It provides a quick relief from earaches and gets rid of any infections or wax buildup in the ear. It’s as simple as putting three or four drops of lukewarm olive oil into the ear canal, don’t exceed that amount though. You could also dip a cotton bud in olive oil and stick it into your ear. Mustard oil can be used in the same way. Also read : How to Get Rid of Ear Wax? There are many ways of using onions to cure an earache. One is to cut an onion into halves and gently place it over the affected area. Another would be to heat a small portion of an onion until it turns warm and tuck it into the affected ear. You could also wrap the onion in a moist or warm cloth, placing it directly on the ear. Squeezing out some onion juice, heating it gently and putting a few drops of those into the ear works effectively as well. Basil leaves don’t only work wonders on your cooking, but also are quite effective in treating ear aches. It’s as simple as finding basil leaves, grinding them up together and extracting the juice. Use a dropper to pour about two drops of the juice into each ear. Don’t exceed the limit or you will have green juice oozing out of your ears every now and then. Also read : How to Get Rid of a Stuffy Nose? Garlic, being a natural antibiotic and analgesic, gives fast relief from earaches. Take about a teaspoon of crushed garlic and heat it in two tablespoons of sesame oil for a few minutes or so. Strain it once it cools down and pour two or three drops of the oil into the paining ear. So what if you smell like garlic, beats the numbing pain doesn’t it? Steam inhalations are effective in any cold related symptoms ergo earaches too. It helps in reducing any sort of nasal swelling caused by cold air. If you don’t have a steamer, an open vessel will do just fine. Heat up some water and add a couple of fresh herbs such as Chamomile or lemon balm to it. Get steaming with a towel over your head, trapping in all that steam. Also read : How To Get Rid Of Phlegm? Lemons, oranges, guavas, strawberries and papayas- the citrus family plays quite the role in curing earaches. No concoction here, no extraction, no cooling, no heating, just eating. Make sure to include lots of them in your diet and that cold of yours might just disappear even before you’re finished with these Vitamin C laden fruits. If you suffer from gastritis or acid reflux frequently, keep the portions moderate as citrus can exacerbate these conditions. Must read : How to Get Rid of Stye? Mix white vinegar and rubbing alcohol together. Use a few drops of this liquid in the infected ear. Who would have thought that alcohol is also a way out of that annoying earache. If only you could drink some of the pain away too! Also read : How to Get Rid of Fever Blisters? The medicinal benefits of ginger don’t have to be elaborated on as they are commonly used in the treatment of all cold like symptoms. For this remedy, we’re back to extracting. Extract a couple of drops from a ginger rhizoid and drip it into the affected ear. This helps to relieve pain which springs from an underlying inflammation. Before you know it, you can hear again, with almost no pain at all. Peppermint leaves and oil are effective in soothing earaches. Extract the juice from fresh peppermint leaves in a dropper and use about two or three for the aching ear. You could even use a cotton swab to apply the oil into the opening of your ear. Avoid getting the oil directly into your ear. Diluting the peppermint oil with equal portion of olive oil has its benefits benefit too. Also read : How to Get Rid of Razor Bumps? Can’t finish the radish in your fridge? Try using it to cure earaches! Chop some radish and heat it up in a little bit of mustard oil. Set it aside and allow it to cool for a while. Strain the oil out and put a few drops into the aching ear. Now both the radish and earache will be gone. Looks like a win-win to me! Neem has antibacterial and antifungal properties aiding in fighting off an infection. The analgesic and anti-inflammatory properties on the other hand help in reducing earaches. Crush a few neem leaves, extract the juice, and use it as ear drops twice a day. Neem oil can also come in handy. Soak a cotton ball in some oil and place the ball in your ear for a long lasting relief. Also read : How to Get Rid of Dry Scalp? Surprised? Don’t be. The idea is to keep the area of the infection warm, so that’s where a hair dryer comes into the picture. Once you are done with a shower, dry your ears with a hair dryer, avoid wiping with a towel. Hold the dryer at a distance from the ear while setting it to warm. Do this for about 5 minutes to dry out the moisture in your ears. Now you can blow your earache away too! Must read : How to Grow Hair Faster Naturally? As you can see, there are many excellent home remedies for earaches. They are natural, safe, and you do not need to spend any extra cash to get it treated. The next time you feel an earache coming on, don’t worry – just look around your home and keep the things you need ready to fight the earache. Remember to seek for medical advice before trying any of the remedies listed above. I have found that eating healthy, natural foods that are high in Omega 3’s daily, especially GrassMilk (it’s from pasture-raised cows, NOT from soy/grain-fed cows) as well as Grass Milk Yogurt help tremendously with earaches and also prevent excess earwax buildup. A serving of Grass-Fed Beef every other day is excellent as well. And Grass-Fed tastes better too!